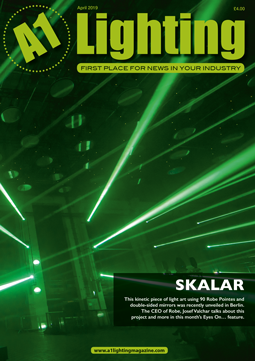 A1 Lighting Magazine – First place for news in your industry. A1 Lighting brings you up-to-the-minute news, inspiring projects, comment from leading voices in lighting, where to stay when away on business, as well as extensive coverage of industry events, exhibitions and awards. 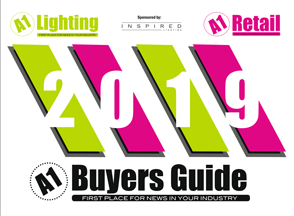 A1 Lighting hits the desks of the important figures in the industry, including active buyers and specifiers, interior designers, architects, manufacturers, lighting engineers, electrical contractors and retailers. Our comprehensive website is also updated daily with current news, as well as events, case studies and opinions from key figures. A digital version of the magazine is also available on the website and on our FREE A1 Media App. To find out more, contact us on +44 (0)1787 222251 or email enquiries@a1mediamagazines.com. Stay one step ahead – read A1 Lighting.